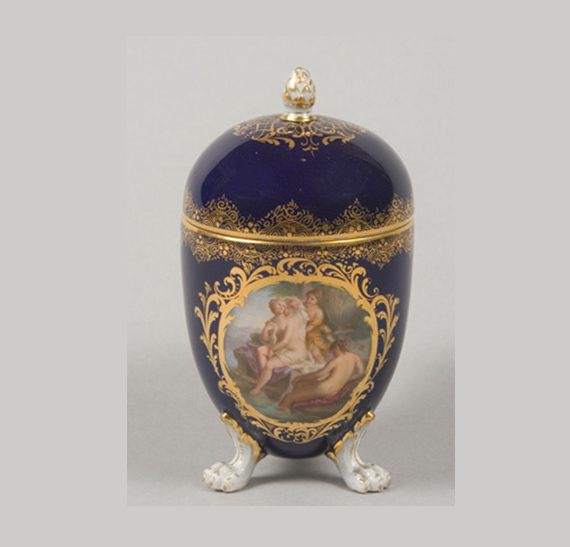 The finest English porcelain, both soft and hard-paste was made between about 1745 and 1775. 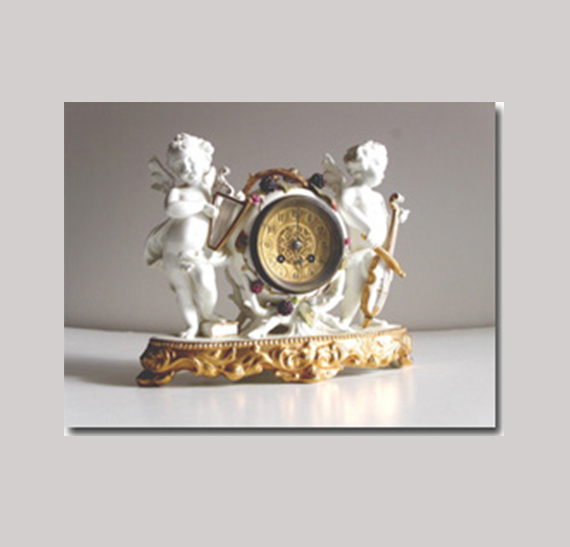 The first English porcelain was probably produced at Chelsea under Charles Gouyn, but his successor Nicholas Sprimont, a Flemish silversmith who took over management in 1750, was responsible for the high-quality wares, especially the superb figures, for which the factory became famous. Factories at Worcester, Bow, and Derby also produced wares that rival those of the Continent. By the late 19th century, with the development of machinery and the introduction of new technologies, the age of mass production dawned and the potter's art consequently suffered. Western ceramic wares declined markedly in quality of materials and decoration. Not until the 1930s were signs of revival in the form and decoration of ceramics discernible, principally in the productions of artist-potters who were active in Western Europe and the United States. Many of these artist-potters arrived at their innovations by way of continuous experiment with materials and techniques. Others sought inspiration from primitive types of Japanese pottery or in the forms of ancient American Indian traditions. Since the end of World War II, the design and decoration of ceramics in both Europe and the United States, especially ornamental wares, has been largely influenced by individual artist-artisans. Commercial products, such as table wares, have tended to reflect the styles and patterns developed by these potters, whose work has often shown striking originality. The ceramic trade mark has great importance enabling dealers and collectors to trace the manufacturer of any marked object, AND to also ascertain the approximate date of manufacture and in several cases the exact year of production, particularly in the case of 19th and 20th century wares from the leading firms which employed private dating systems. With the increasing use of ceramic marks in the 19th century, a large proportion of European pottery and porcelain can be accurately identified and often dated. There are several general rules for dating ceramic marks, attention to which will avoid several common errors. Printed marks incorporating the Royal Arms are of 19th or 20th century date. Printed marks incorporating the name of the pattern are subsequent to 1810. Marks incorporating the word 'Limited', or the abbreviations 'Ltd', 'Ld', etc., denote a date after 1861, and most examples are much later. Incorporation of the words 'Trade Mark' in a mark denotes a date subsequent to the Act of 1862. Inclusion of the word 'Royal' in a firm's title or trade name suggests a date in the second half of the 19th century, if not a 20th-century dating. Inclusion of the abbreviation 'R N' (for Registered Number) followed by numerals denotes a date subsequent to 1883. Inclusion of the word 'England', 'Germany', 'France', 'Italy' in marks denotes a date after 1891, although some manufacturers added the word slightly before this date. 'Made in England', 'Made in Germany' and so on, denotes a 20th-century date. 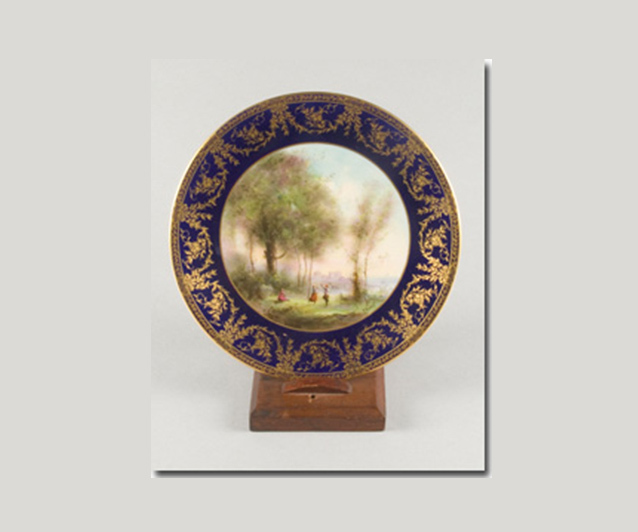 Use of the words 'Bone China', 'English Bone China', etc., denotes a 20th-century date. Eaglemont Antiques © 2018. All Rights Reserved.